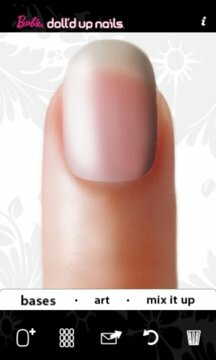 Barbie®, style icon and beauty expert, struts into the app-mosphere with this exciting nail design application – putting her beauty inspiration right at your fingertips! 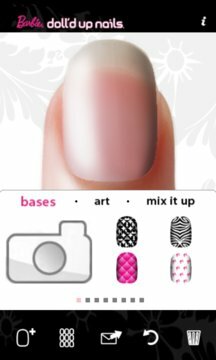 Barbie® Doll’d Up Nails™ for the Windows Phone lets you create trendy nail art designs just like salon professionals! Choose from countless patterns and stylish graphics. Experiment with color, layering, and position to create your own signature style!